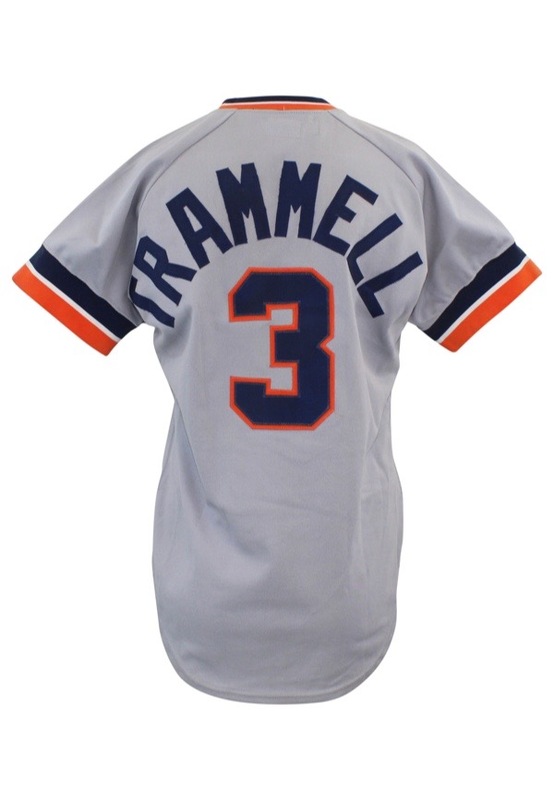 Alan Trammell was elected into the National Baseball Hall of Fame in 2018. 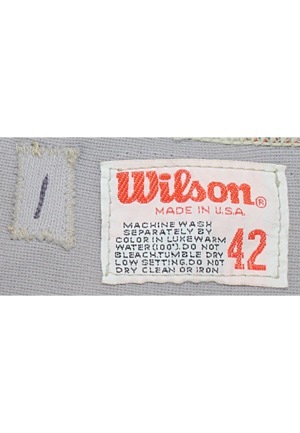 In the rear neck is a restored Wilson manufacturer’s tag size “42” with washing instructions. Adjacent is a box tag reading “1” embroidered. 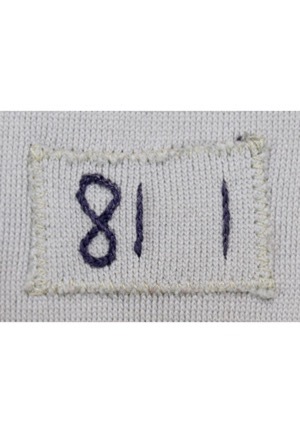 On the front left tail is a strip tag reading “81 1” representing the year and set number. Across the front reads “DETROIT” and on the back is the player number “3”. These are done in navy blue on orange tackle twill. Arched across the back is the player name “TRAMMELL” in navy blue tackle twill sewn directly into the jersey. 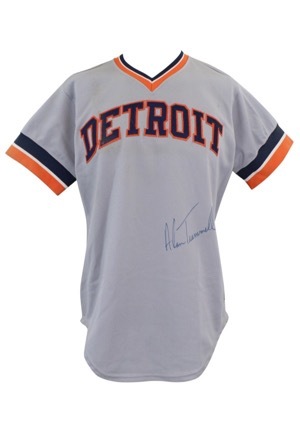 Trammell signed the front of the jersey in blue marker and in our opinion the signature rates a 9. This jersey is properly tagged, was presented to us as game-used and in our opinion shows excellent use. Accompanied by a LOA from JSA.